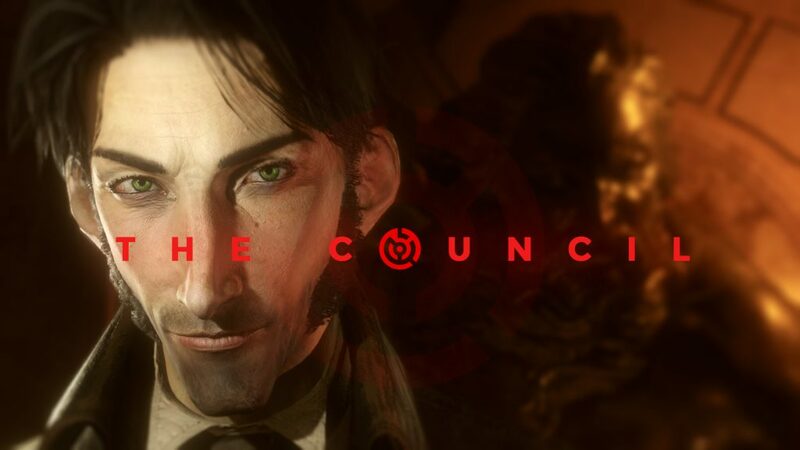 Today we’re talking about a game that’s already come out — it’s THE COUNCIL, a narrative-driven, episodic adventure game. The first episode, The Mad Ones, was released on March 13 on PlayStation 4, Xbox One, and of course, PC. Following it, the second episode, Hide and Seek, finds its way to the store on May 17 — where it can be bought separately or downloaded two days prior by season pass owners. If you already have purchased the game that’s really all you need to know. 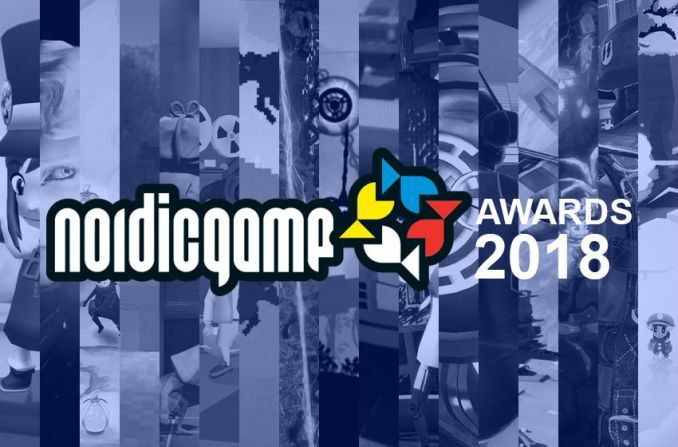 If you haven’t picked the game up yet — then let’s dive in a bit deeper. We begin our story in 1793. Players will take the role of Louis de Richet — a member of a secret society, who visits a private island off the shores of England at the request of Lord Mortimer. During Louis de Richet’s stay, the player will encounter numerous well-known and high-profile faces from history. These include Napoleon Bonaparte and President of the newly-formed United States of America, George Washington. The people behind THE COUNCIL, Big Bad Wolf, wanted to rethink the classic narrative adventure with a twist on the genre along with adding their own original game mechanics — finally, letting the players’ decisions matter. 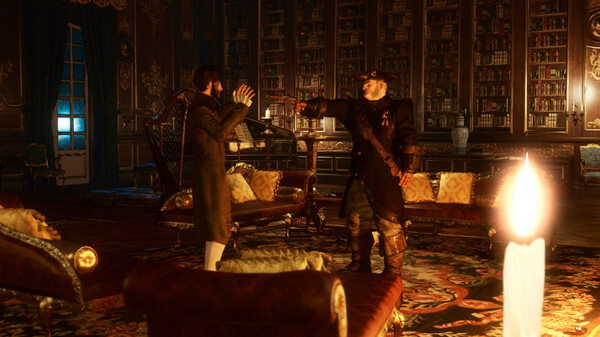 THE COUNCIL offers a variety of gameplay options from manipulating your way through the different encounters with the other characters to avoiding them completely, to using Big Bad Wolf’s Social Influence-System. To be able to survive and fulfil your (Louis de Richet’s) desire, you will need to prepare yourself: to learn each of the unique characters’ traits, their vulnerabilities, their immunities, in order for you to discover the secret of your mother’s disappearance. “Game Over” doesn’t exist… in a way that failing an encounter doesn’t lead to an end screen, but rather consequences — permanent consequences — which could mean physical disfigurements or mental hindrance. But ultimately, an alteration of the game following that very encounter. Your decisions matter — for narrative adventure games to have this premise of player decisions and interaction is common ever since TellTale released their first episodic games. It’s debated whether or not the choices you make actually lead to more than just one, two, or three pre-determined outcomes. I personally love many of the TellTale games, including their Batman and their Game of Thrones stories. However, I believe in Big Bad Wolf to have the passion to create a game, unlike other games. With that aside, let’s get back to talking about THE COUNCIL. THE COUNCIL’S 17+ ESRB rating with violence, blood, sexual themes all factors of a mature game that is not holding back. Another part of the gameplay is THE COUNCIL’S approach to RPG-elements, such as Skills, as the player can develop Louis de Richet’s numerous skills in line with their approach to this narrative adventure. The game provides the player with 15 different skills, which they can invest in, in order to uncover the truth and mysterious surrounding THE COUNCIL. The players are given total control to what route they choose their adventure follows: if it’s a route of diplomacy, the occult, that of history or science, the choice is yours. Again, THE COUNCIL episode 2 Hide and Seek will be out May 17 for non-season pass owners and May 15 for season pass owners. Do tell me if you’ve picked up this game and what choices and consequences you made!